I learnt something the hard way this week. 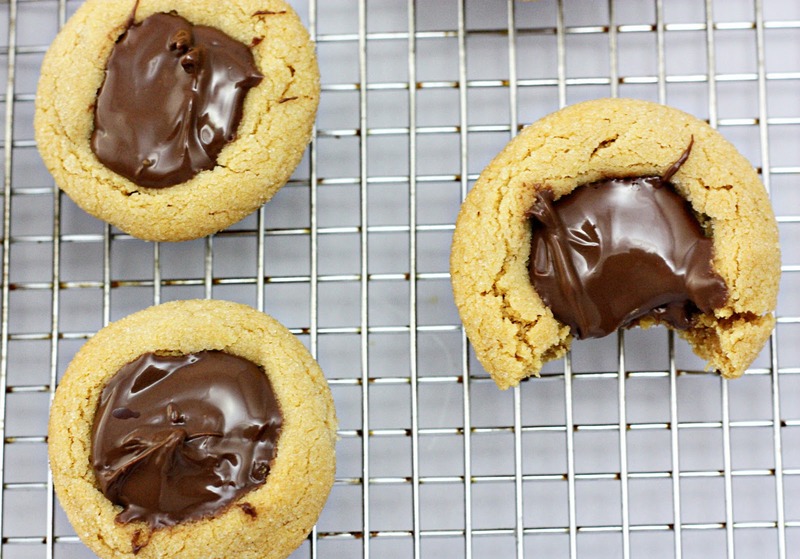 Once you start baking with Nutella, you can't stop. This time around was nutella cookies. I don't think I have to tell you how fantastic they were. Were. As in past tense. 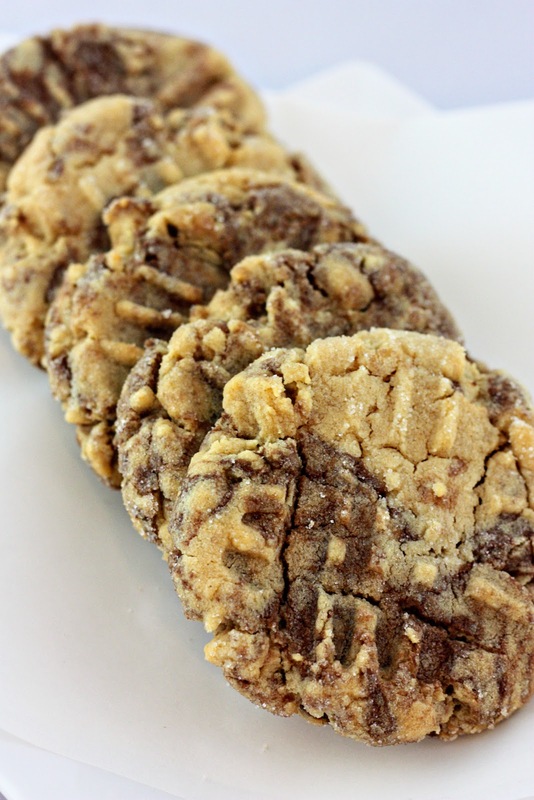 Just the words nutella and cookie should be an easy sell. Plus, as husband mentioned, nutella is good for you. (Marketing works, even if it is directed toward kids). Doesn't matter to me, I'll do whatever husband says. I love the way that man thinks. Combine butter, peanut butter, sugars, egg, and vanilla. Mix until well blended. Add flour, baking soda and salt. Drizzle Nutella on top of the dough then swirl it through the dough with a butter knife. Chill dough 15 minutes in the refrigerator. Roll into balls by hand. Place on parchment lined cookie sheet. Using a fork, press down the balls to flatten slightly. Bake until edges are very lightly browned (about 7 to 10 minutes). 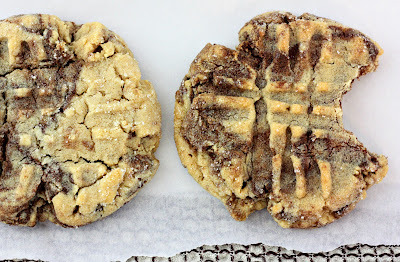 Allow to rest 2 minutes on cookie sheet before transferring cookies to a cooling rack. 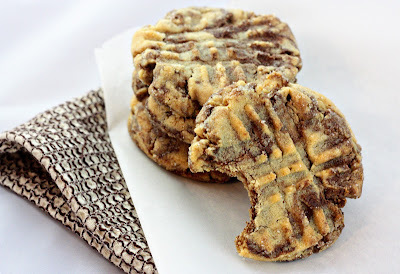 PS - Huge thanks to The Doctor's Closet for the delicious post and mention of our Peanut Butter Nutella Cookie Cups! Sift together the dry ingredients and set aside. Cream the butter and sugar in the bowl of an electric mixer using the paddle attachment. Add the egg and vanilla and beat until combined. Add the peanut butter and continue beating on low speed. Add the sifted dry ingredients and beat until just blended. Cover the dough with plastic wrap and transfer to the refrigerator. Chill until firm, about 1 hour. Heat the oven to 350 degrees. Form dough into 1 1/2 inch balls. Roll balls in turbinado sugar (I used granulated sugar). Place each ball in a cup of a greased mini muffin tin. Bake 10 to 12 minutes until edges are browned and crackled, the centers will not be completely set. Remove the cookies from the oven and use the end of a thick-handled wooden spoon make a small, deep well in the center of each cookie and fill with your Nutella. Sprinkle chopped peanuts on top of Nutella. 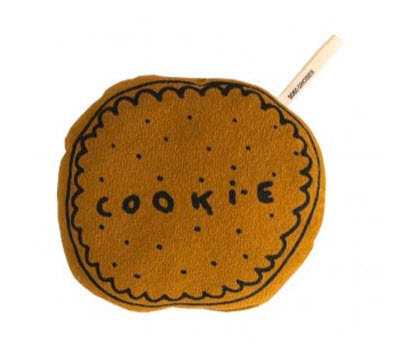 Transfer cookies to a rack to cool completely. Tip: Don’t worry about smoothing the Nutella at first. 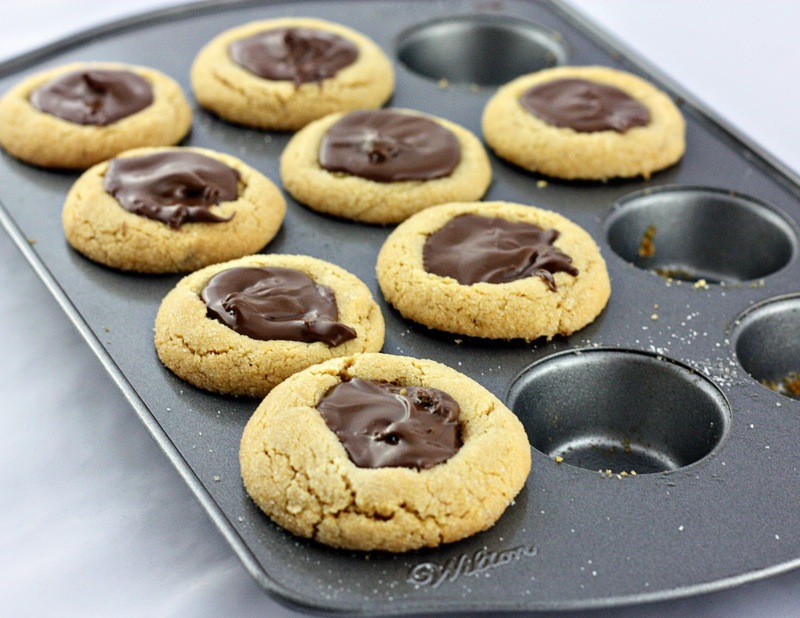 After you’ve put Nutella in each cookie go back and spread it. It will have melted a bit and be much easier to spread. Can we talk about this peach ice cream onesie and the minty-green candy romper? Absolutely adorable. PS - Delightful Bitefuls is now on Facebook! Come say "hi", would ya?! I love this combo of flavors. And I love muffins. A lot. I had one can of pumpkin left from Christmas and decided to put it to good use. These are full of soft, sweet apple bits and beautiful paired with pumpkin pie spices. These are especially delicious when paired with a hot cup of tea or coffee. Combine first 6 ingredients in a large bowl; make a well in center of mixture. Combine pumpkin, butter, and eggs in another bowl and add to dry ingredients, stirring just until moistened. Fold in chopped apple and spoon into greased muffin pans, filling two-thirds full. 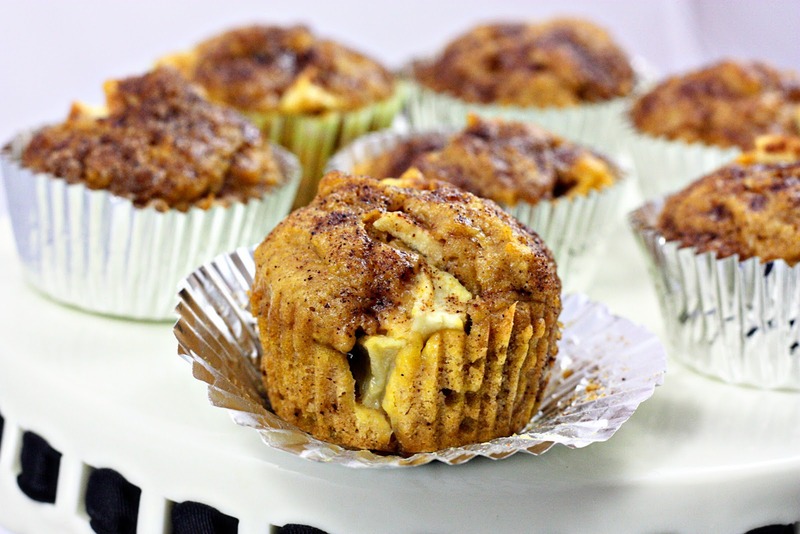 Combine 3 tablespoons of sugar and 1 teaspoon of pumpkin pie spice; sprinkle evenly over muffins. Bake for 20 minutes or until golden brown. Remove from pans immediately, and cool on wire racks. **Tip: If you don’t have pumpkin pie spice, use the following combination: 1/2 teaspoon cinnamon, 1/4 teaspoon ginger and 1/8 teaspoon nutmeg and 1/8 teaspoon cloves. Mix together and voila - you have the equivalent of 1 teaspoon pumpkin pie spice. 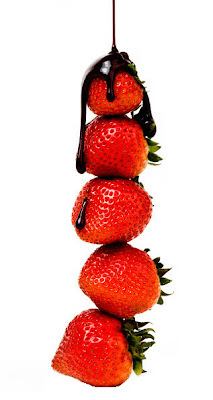 Chocolate covered strawberries; they never disappoint! Breakfast in bed! 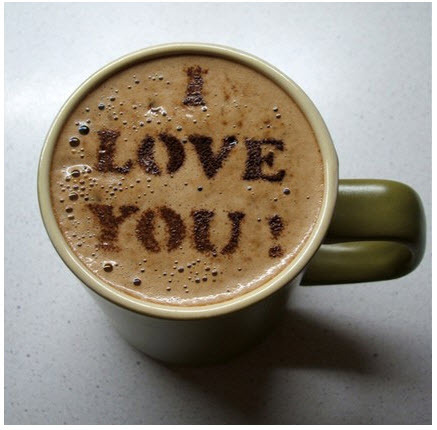 Get your stencils out - this will definitley impress your valentine! 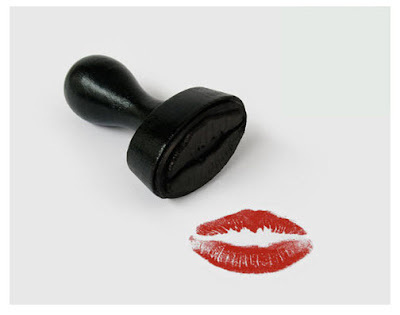 Whatever you do, make sure you seal it with a kiss. 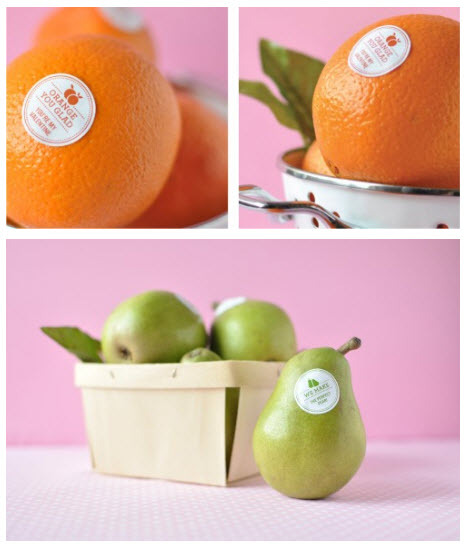 Twig & Thistle made these adorable downloadable fruit stickers for Valentine's Day. 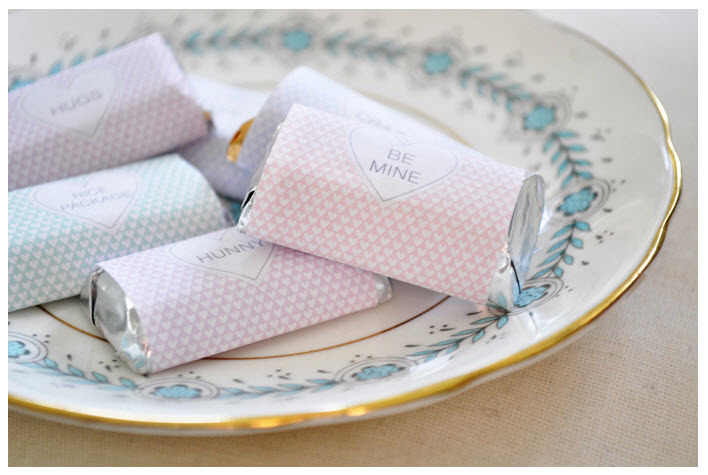 How cute would it be to surprise your significant other and add these to the fruit in their lunch on the fourteenth? Here are some pink and red Valentine inspired gifts for your sweetheart! 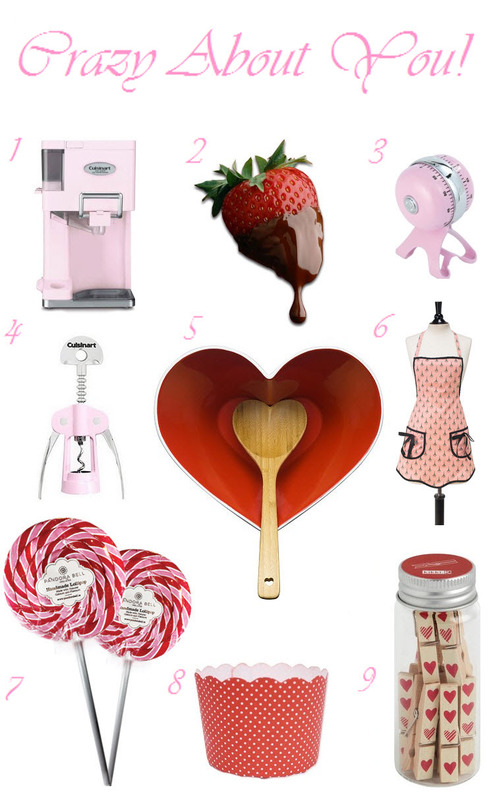 Although you can never go wrong with a hand written card, a bouquet of flowers or a box of chocolate truffles, it's always fun to give some festive goodies to your kitchen goddess. 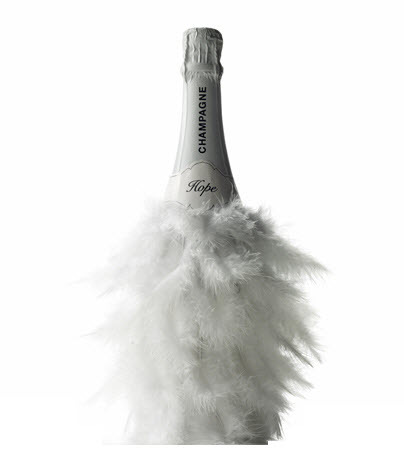 I'll have my champagne with feathers, please. 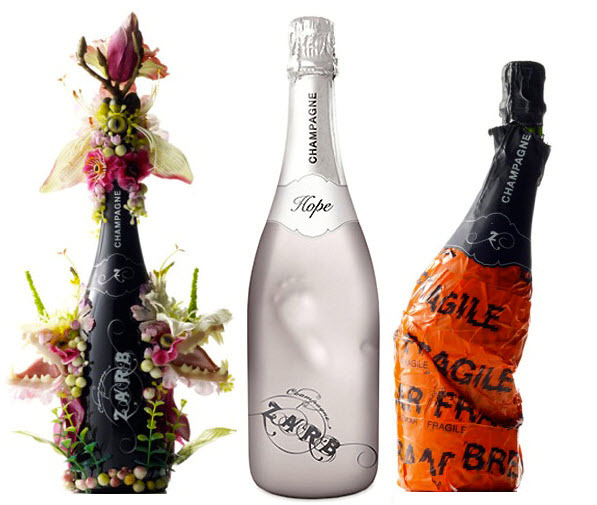 I've been swooning over these gorgeously playful and compellingly packaged champagne bottles. How do you like your champagne? Click here to see more Zarb Champagne Bottle Designs. I just finished a week long cleanse. Longest week of my life. And of course, I tortured myself and looked at countless recipes of baked sweets hoping it would somehow fix my sugar cravings. It didn't work. It did however give me the opportunity to look through a lot of great recipes and inspire me with ideas what to bake next (stay tuned!). 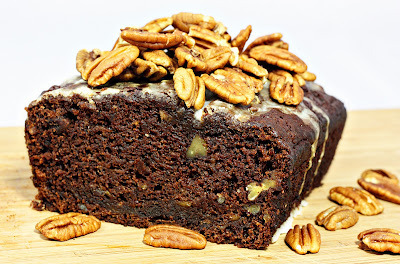 This bread is very soft, moist, seriously delicious and definitely a new banana bread favorite for me! 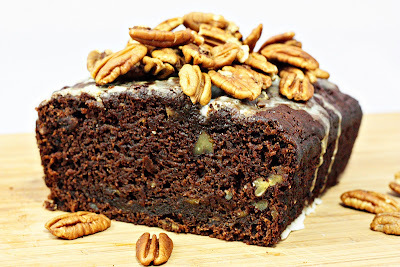 I love the addition of cocoa (which replaces the usual chocolate chunks) and the chopped pecans in each bite. The icing topping on this recipe turns a simple banana bread into an explosion of flavors. 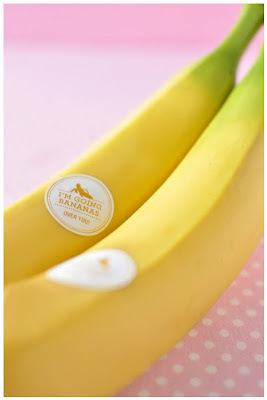 It's a must try for all of you banana lovers out there! Preheat your oven to 350°F. Grease one 8 1/2" x 4 1/2" loaf pan and set aside. 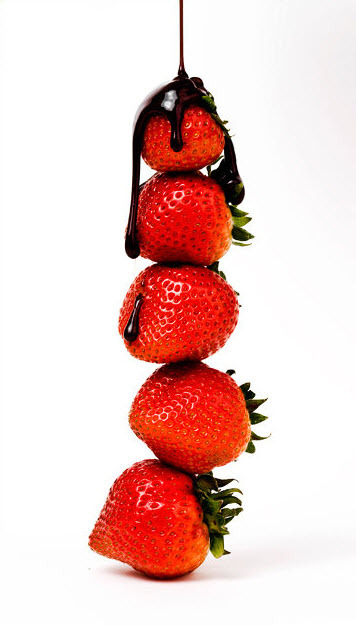 In a large bowl, whisk together the sugars, egg and vegetable oil. Add in the banana, sour cream and vanilla. Sift 1/2 of the dry ingredients over the wet, and fold to combine. Add the pecans and repeat with the remaining half. Pour into the prepared pan and bake until the bread is firm to the touch and slightly cracked, about 60 minutes. Cool on a rack completely before glazing. 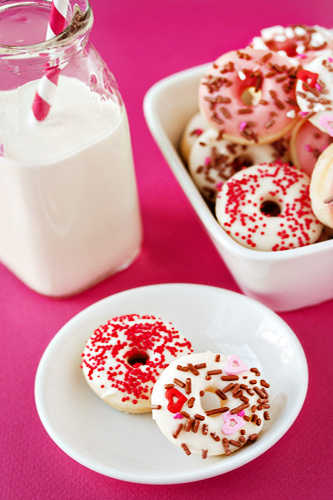 Glaze: Pour the milk into a bowl and sift powdered sugar over the top. Whisk to combine and add enough powdered sugar to form a thick glaze. 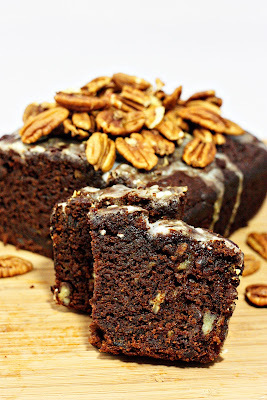 Pour over the cooled bread and top with additional pecans, if desired.